This video is all about color value swap outs. I have an online class that teaches this along with lots of other tips and tricks. It is basically the best of the lessons I give in my studio, but it is on line and you can do it at your own pace. If you purchase this you also get to join our online group that is both informative and supportive. 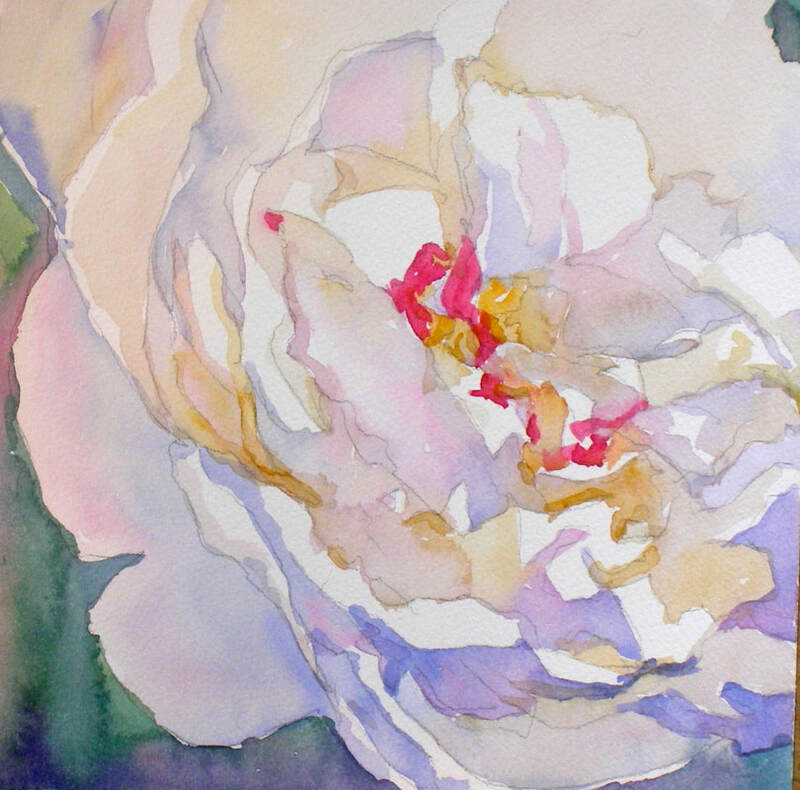 Here is a link to learn more about the Visual Learners Guide to Painting. I also have a quick class you can do today just for fun . It will show you how to paint a peach. When you purchase something from me , I stand by it and will answer any and all email questions you might have. Thanks for watching! 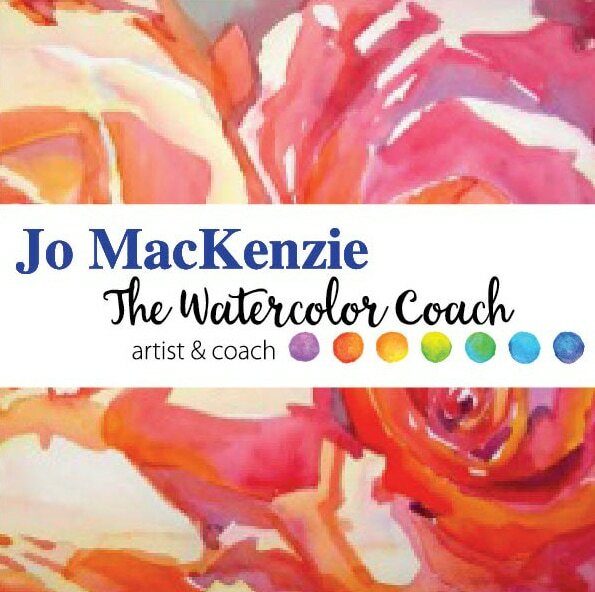 I have a Jo Mackenzie watercolor group on Facebook and the topic of framing is being discussed there. I am curious to hear how others tackle this pesky watercolor problem. How do you present your work? I am having a one time sale. All paintings sized 7.9x7.9 or 7x11 inches are 100 dollars. This includes shipping an handling but not matting. Paintings will arrive in a single mailing envelope. I am clearing the decks for new projects and it is time to move these "little guys along". I hope you decide to take advantage of this one time offer for an original work of art. I am so grateful to my friend for schooling this fool ! There are many gifts offered every day. You just have to stay open to receiving them. Sometimes you want to get away from it all and this painting gave me a chance to do that. It was cold and snowy but inside the studio I was feeling the warm breezes of some far off fantasy land. ​Art can take you places! This video I made called Snarky Comments was a lot of fun to make and people wrote some funny things about it. I like to have fun and not take life too seriously. When you make a Youtube channel you are going to hear from lots of people who don't know you yet and who want to help, but often the suggestions they make are random. But I read all the comments and answer every single person who takes the time to watch and write to me. Finding support for your art efforts is an ongoing struggle for many of us. It is for anyone in a creative endeavor. I hope my observations bring some comfort and humor to you. Color value swap out day! This is a video of speeded up painting with music by Patti Casey. If you want to hear the narrated version step by step please go to my Youtube channel here. and please hit the subscribe button. As long as I follow the strategy of finding my dark , medium and light masses and plugging color into them , it does not matter what order I work in. I can decide this on a subject by subject basis. I have been organizing my home since Jan. 1. Today I was in the kitchen and I had something in my hand and I said to Tom ..."what should I do with this? ", He said "Gee it's a shame you don't have any storage containers.". Good one Tom...Good one. I was asked to make this video and it is especially timely because I have just had to go Gluten Free. Now you know how much I love my cake and cookies so eating white rice and mashed potatoes is not a place where I find a lot of joy. What I miss the most is coffee. My heart aches for coffee and my brain does too. But pain is a great motivator so I am determined to see this through. You can only deny symptoms for so long. Eventually you have to accept the facts, make a plan and change your life as needed.